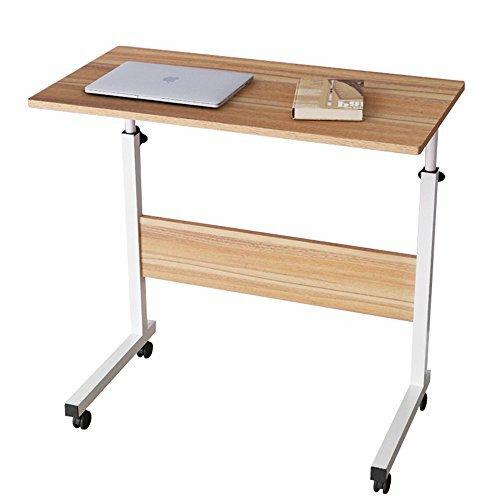 DlandHome is a US Local Brand, in the past few years we has specialized in mid-high part wooden and metal office household furniture. Our bloc have over fifty (50) production lines and our own design team, our main business market cover Europe, North America, Central and South America, Japan and China. We aims to provide the best products and service to every customer, and User Experience drive us to progress. ✔ E1 grade environmental wood without any industrial glue, and 0 formaldehyde release. ✔ Adjustable height from 28-35.4 inch (71-90 cm) for different needs. ✔ Movable and Lockable wheels, you can remove wheels if you want. ✔ Can be used in any ways you want for your home and office. ✔ Fits all different indoor environment, perfect combination with other furniture accessory. ✔ Easy to install, 10 minutes fast install steps, make everything easily. ✔ Free replacement or money back guarantee for any quality problem within 30 days. 【Dimensions】: 31.5L * 15.7W * 28-35.4H inch (80L * 40W * 71-90H cm); Table weights about 15.4 lbs (7kg); Maximum load capacity 66 lbs (30kg). 【Health & High Quality】: The Plate: Solid wood particle pressing, E1 grade environmental wood without any industrial glue, and 0 formaldehyde release. Metal Frame: Utilizes heavy-duty and powder-coated metal materials, which ensures stability and durability. 【Adjustable & Movable & Lockable】: The height is adjustable, from 28-35.4 inch (71-90cm), to meet the different heights needs. Wheel design, moving anywhere as you wish. Lockable wheels, easy to keep it steady. 【Humanized Details Design】: Simple and elegant appearance; Fillet design is safer; Round steel tube design conform to aesthetics; Plum handle easy to adjust. 【★★★★★Customer Service】：We are eliminating all the risk of buying furniture online and making sure every customer is satisfied. In the past you might have been stressed about your home office furniture arriving damaged, broken, scratched, or dented. But this will no longer even cross your mind. If your item arrives damaged in any way, we will send you a replacement. If you have any questions about this product by DlandHome, contact us by completing and submitting the form below. If you are looking for a specif part number, please include it with your message.